Do you know the difference between a derby and an Oxford? Tassel loafers or penny loafers? Do you know why brogues have holes in them? 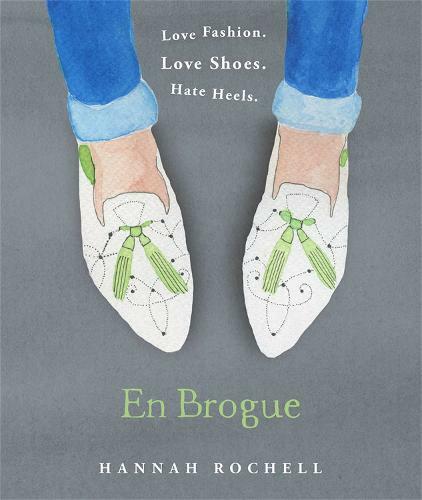 From brogues to boots, pumps to penny loafers, slippers to sandals, En Brogue honours forty styles of shoes with beautiful hand drawn illustrations, quirky photographs and fascinating facts about the history of our favourite flats. En Brogue is a blog that focuses on style AND comfort, written by fashion writer Hannah Rochell. You’ll find nothing on there but stylish flat shoes and inspiration on how to wear them, along with Hannah's illustrations to boot. Dip a (well-clad) toe into the world of fashion, with the perfect gift for all your friends. Visit the www.enbrogue.com for more details.